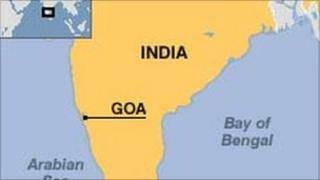 A woman from County Down has been killed in a motorcycle accident in India. Caroline Robinson, 33, from Bangor was a pillion passenger when the crash happened in Goa on Monday. The Foreign Office said it was in touch with Ms Robinson's next of kin and was providing consular assistance.